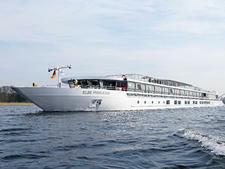 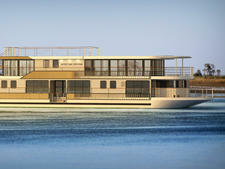 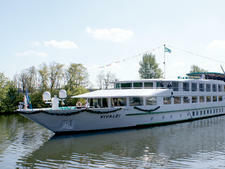 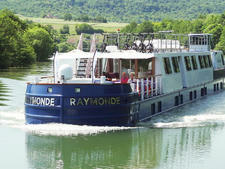 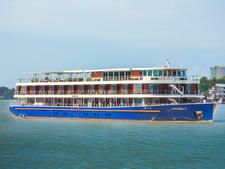 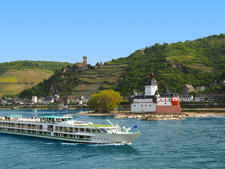 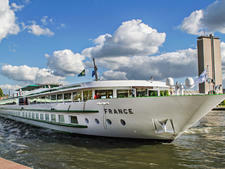 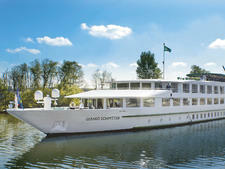 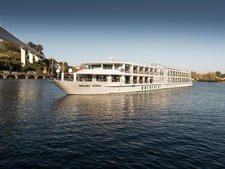 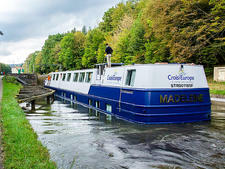 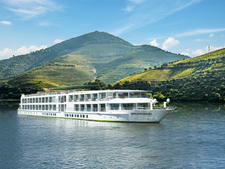 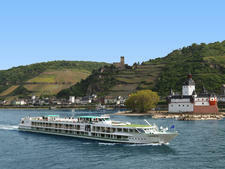 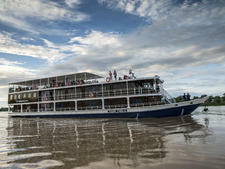 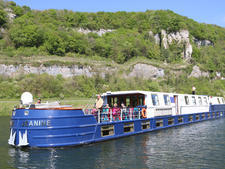 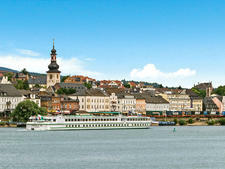 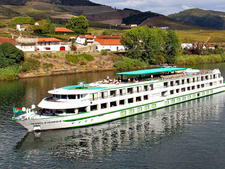 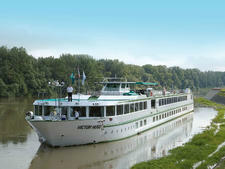 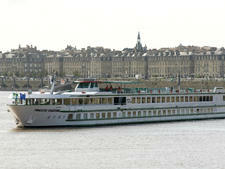 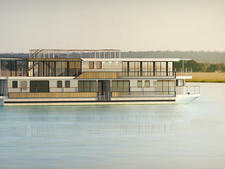 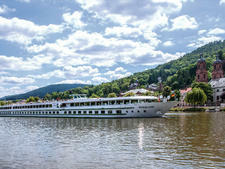 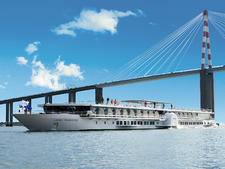 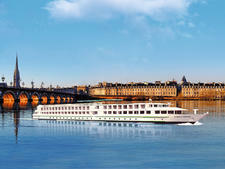 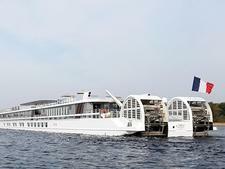 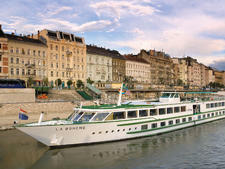 Anne Marie is one of four newer 24-passenger hotel barges, launched by CroisiEurope (the first was Jeanine, the other two are Raymonde and Madeleine). 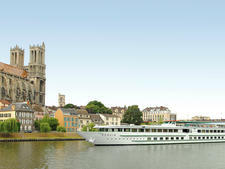 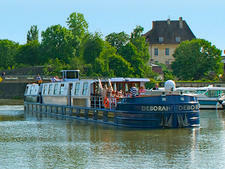 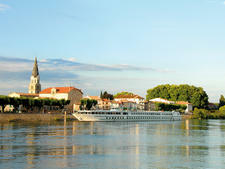 The ship plies the canals of Provence, following the wine route from Avignon to Sete, and stopping at villages along the way to sample traditional foods and local wines. 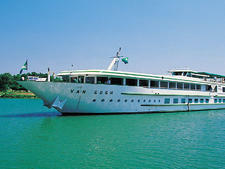 Anne Marie has a spacious lounge area with bar, a separate dining room, a sun deck/barbecue deck with parasols, lounge chairs and a hot tub at the prow; and bicycles for guest use. 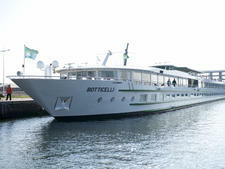 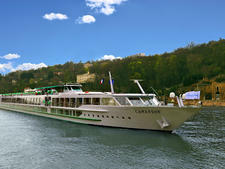 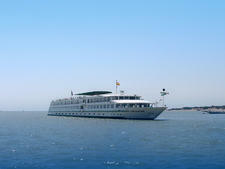 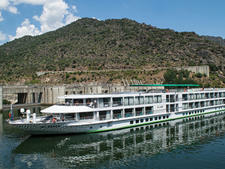 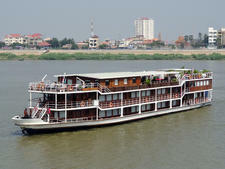 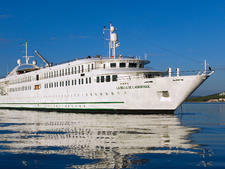 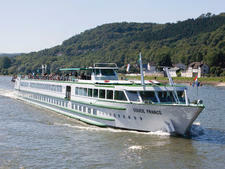 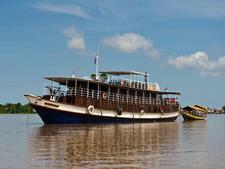 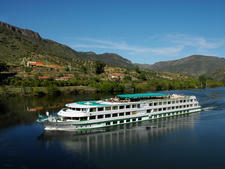 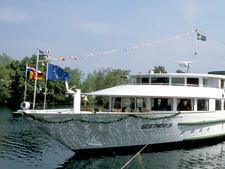 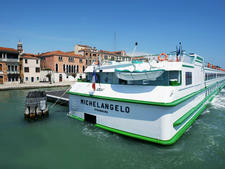 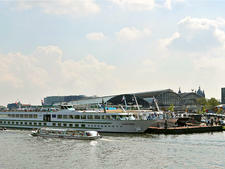 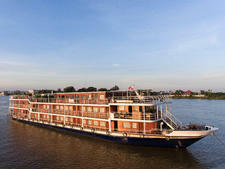 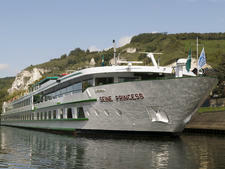 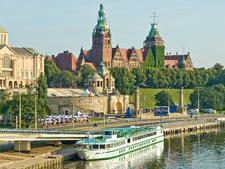 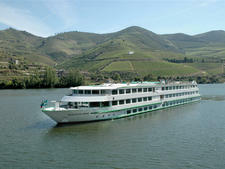 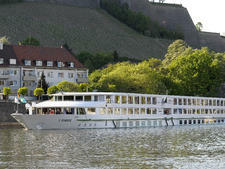 The ship has air conditioning/central heating and Wi-Fi throughout.